Students and teachers eagerly looked forward to reaching out to the 31 families adopted by the school and distributing kits of rice, oil and clothes. A new mother asked for help as she did not have money to buy food for her newborn. 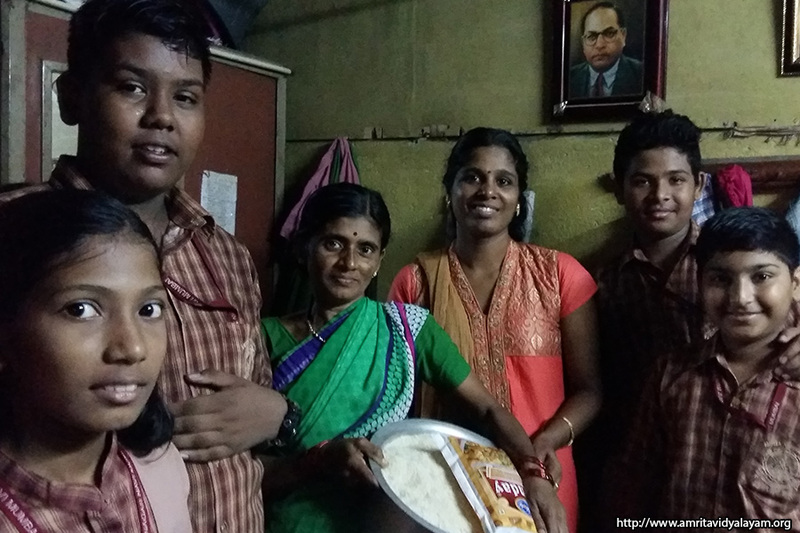 The Principal immediately made arrangements for a suitable bed to be given to the family along with food. The total money collected for August was Rs. 4,771 from grades VI to XII. A special mention to students of Class IV B who brought Re.1 every day, thus collecting a total of Rs. 557. Students brought old uniform shirts which were stitched into shoulder bags. A total of 36 bags were stitched and will be distributed among needy people in order to spread the message of ‘reducing plastic’. 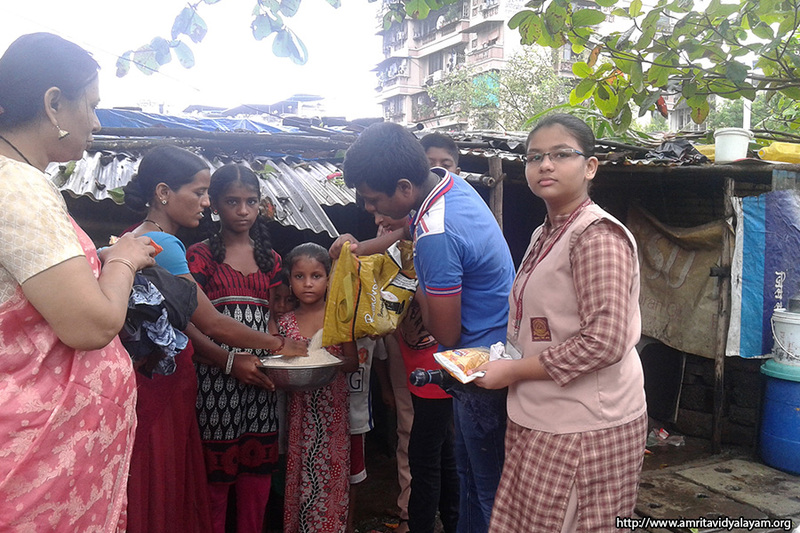 Every Monday, students from pre-primary to class II bring grains like rice, millet, jawar, etc. to feed the birds. Hand-made bird feeders made out of coconut shells are hung on bushes and flower beds in the school compound. Earthen pots and plastic trays are also placed to feed the birds. Children enjoy this outdoor activity and have also started feeding birds at home, thereby imbibing the important value of learning along with nature. This month, the focus was on Dry/Wet garbage segregation. This was in sync with the NMMC’s awareness drive on effective ways of garbage disposal. Students were already aware of the process and they made separate bins at homes to implement it. They were involved hands-on in conserving nature which helped them understand how even a small contribution can help. Students were also asked to write 10 lines on “Dry/Wet Waste Segregation” based on how they implemented this process at home, and how much time it took for their families to adapt to the new arrangement. 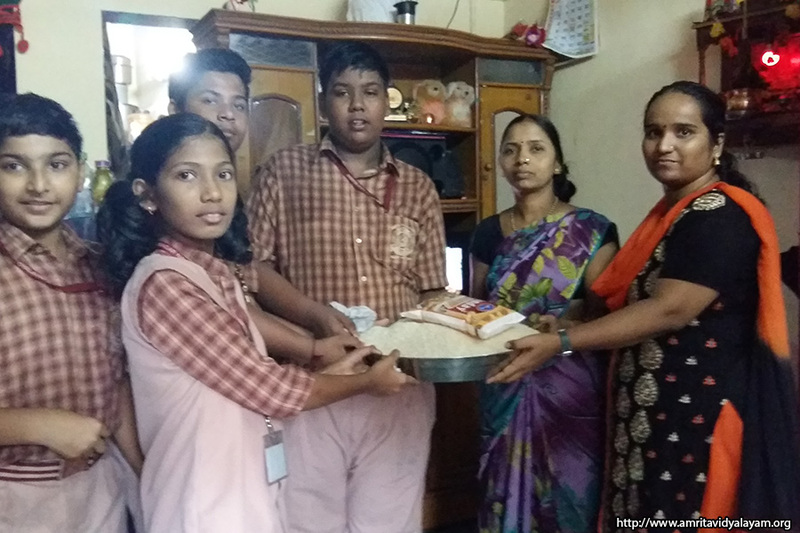 Birthdays of teachers, staff and students were celebrated at school. There is lots of excitement as everyone awaits their special day to receive sweets from the Principal. Students and teachers have expressed how special they feel and how they want to extend this feeling to others and share the “joy of giving”. 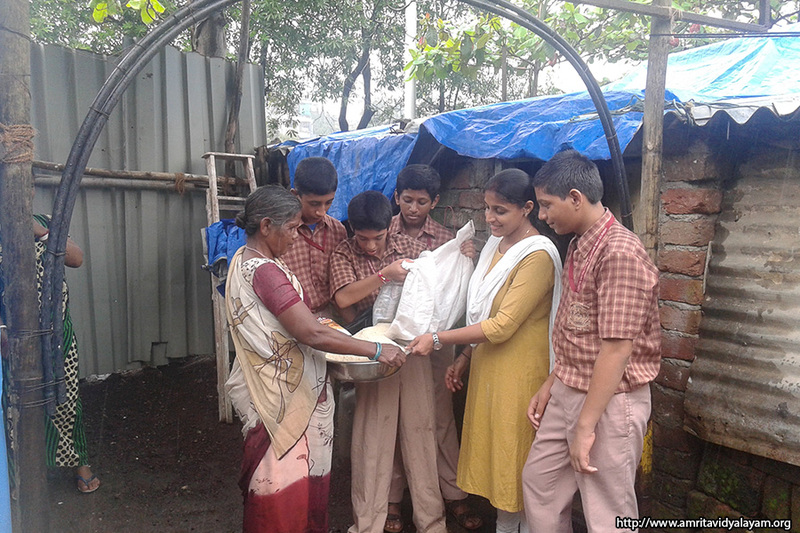 Students have brought saplings to school and helped their mothers at home, while teachers have given donations to organizations that treat cancer patients. The values for the week were Forgiveness, Punctuality, Indian Culture, Mercy, Save Food, Respect Food, and Patriotism. Students narrated inspiring stories from the lives of Subhash Chandra Bose, M.K. Gandhi and Dr. S. Radhakrishnan. They learnt that big things are achieved in life only if important values such as forgiveness, punctuality, etc. are followed.